Everyone keeps talking about this Lost show. And now, what with the Mormons entertaining the masses on American Idol, all I hear about is this David Marchuletta and some gal from Mesa. Don't even get me started on Grey's Anatomy, drama in the third degree! 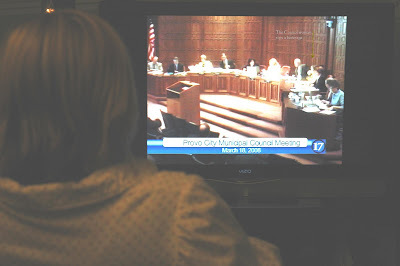 But as for me and my Vizio 42 inches we prefer the Provo City Council Meetings televised live on local Channel 17. I know what you are thinking, she just likes to watch because her mom is on the council. And yes, true. I like to watch to see what my mom is wearing. Not to be rude or anything, but she is the best dressed on the council. Just tonight she was wearing chartreuse. Not even Hillary can get away with chartreuse! My mom drops chartreuse like it's hot! Don't you like to use that phrase these days? I dare my mom to use it in the next meeting. Something like, "My fellow council members, I believe that this sanitary issue is ridiculous! I move to drop it like it's hot." And speaking of drama! You've never seen it so up close and personal. Traffic issues! Student parking! Easements! I get all hot and bothered anytime I hear "roundabout!" Tonight it was even mentioned that another roundabout might show up on 300 West. Hello Europe! It's Provo Calling! Sometimes I get really into the parliamentary procedure of each session. For instance, Councilmember Turley cannot make a motion on a move to vote until a motion to vote is moved (but oh how I wish he could because he is a friend of mine!) Councilmember Stewart is usually the parliamentary procedure police because he used to be the Chairman and has the most experience. 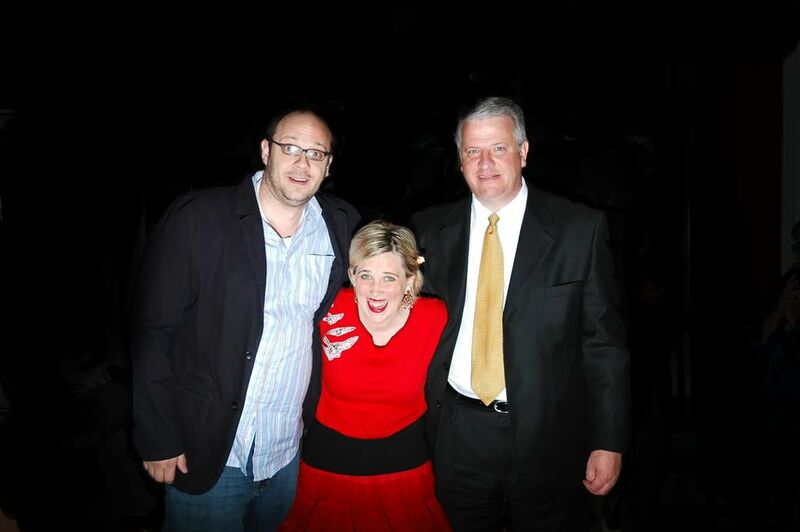 Also he used to be our Mayor. But that was then and this is now. I can tell that I am luring you into wanting to watch the Provo City Council meetings, so set your Divo to Tuesday nights, channel 17. I think it starts around sunset. Or you can come over and watch it with me. Just as a heads up, Mayor McSteamy Billings sometimes mentions his work with the "airport control tower" and if you can't handle that, it's best that you stay home. ***All links in this post are verified.